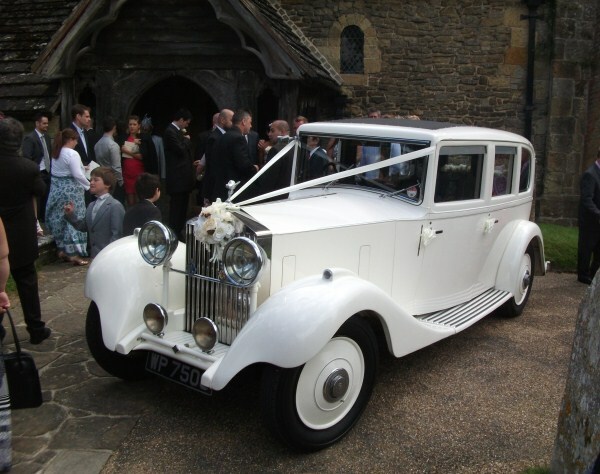 Our stunning 1934 Rolls Royce D-Back 20/25 Limousine coached work by Arthur Mulliner. 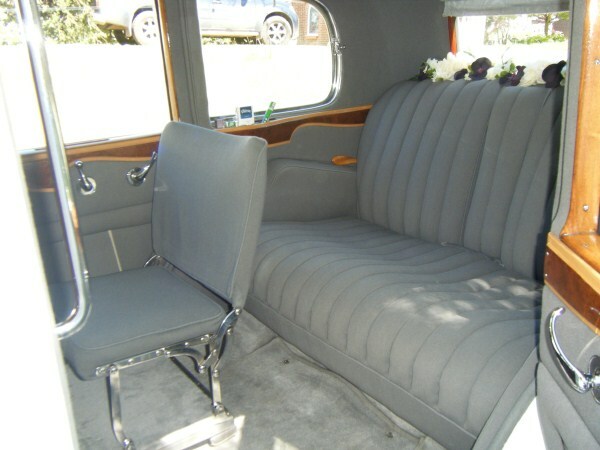 This very attractive car has plenty of leg room and additional fold away seating. 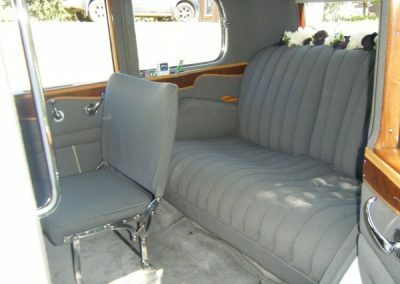 Finished in Rolls Royce white and has a light grey interior. 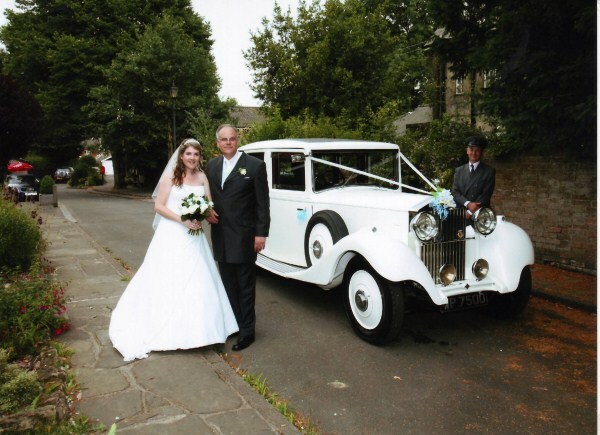 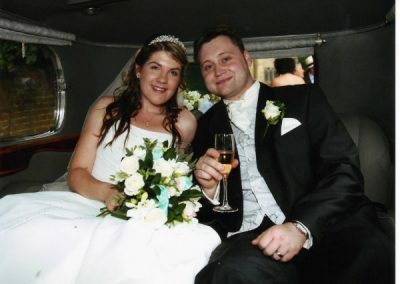 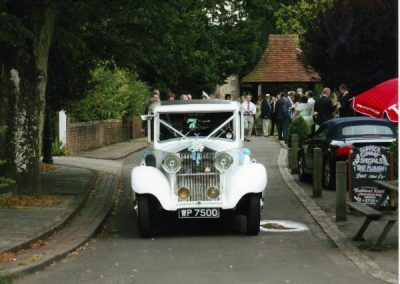 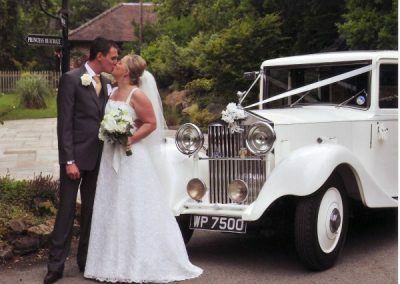 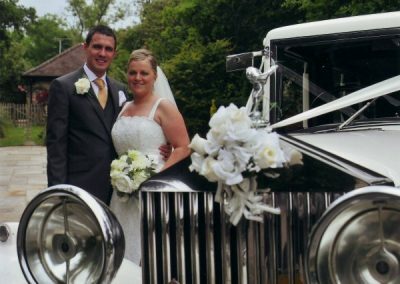 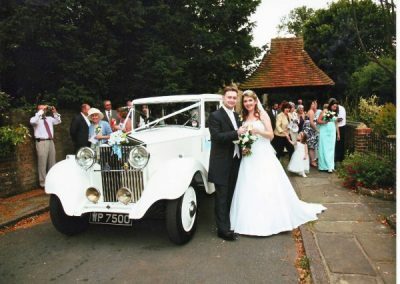 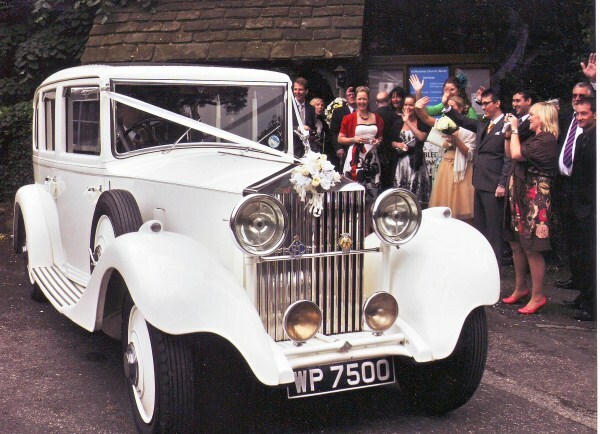 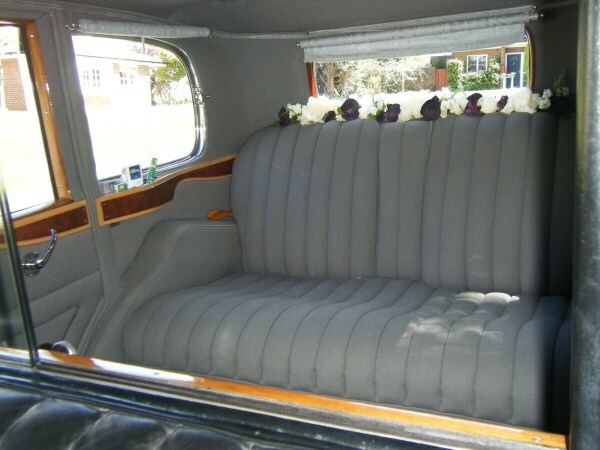 This formal Limousine features a sliding glass division has excellent all round visibility enabling the Bride and Groom to be seen and photographed. The car was originally delivered to a Mrs Hooper owner of the White Hall Hotel in Bournemouth, then in 1971 was shipped to California. 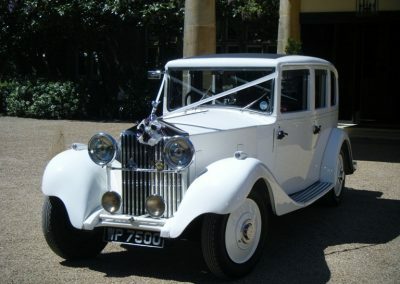 Since returning to England in the 80’s this vehicle has featured in films such as Remains of the Day, Gosford Park, Enigma, House of Elliot and Miss Marple. 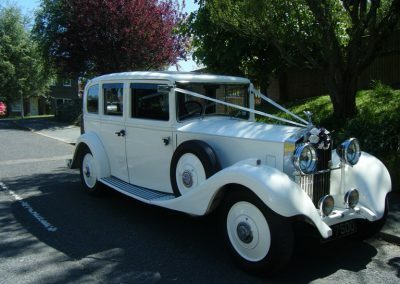 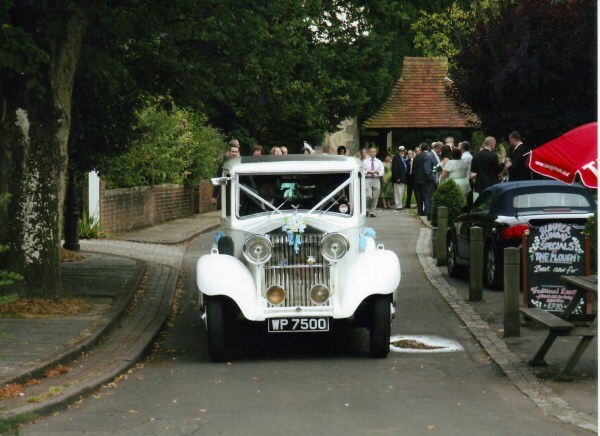 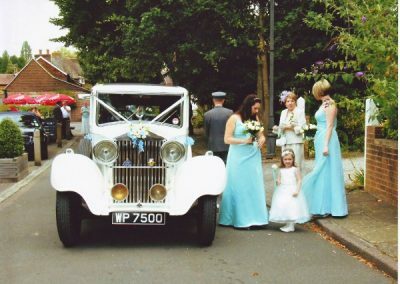 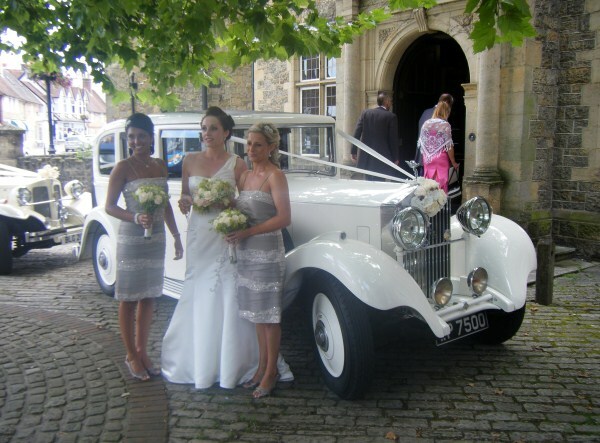 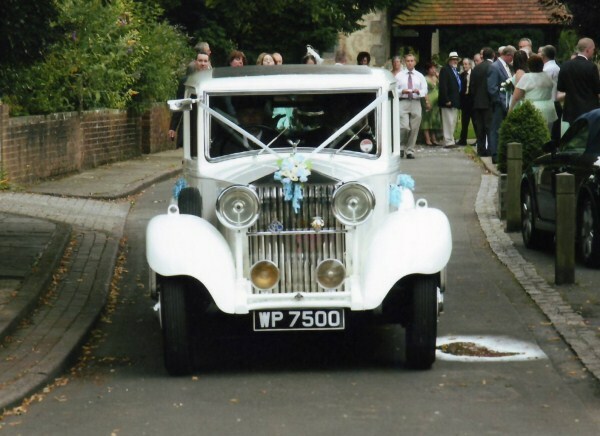 On your big day the cars will be beautifully presently and dressed with Ribbon and silk flowers to your colour scheme on the front, rear and inside the car. 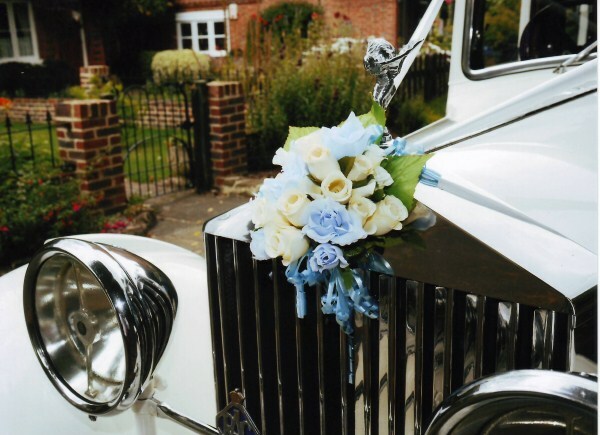 Your fully uniformed chauffeur will arrive 15 minutes before any journey is made allowing plenty of time so that the vehicle will be ready to leave when you are. 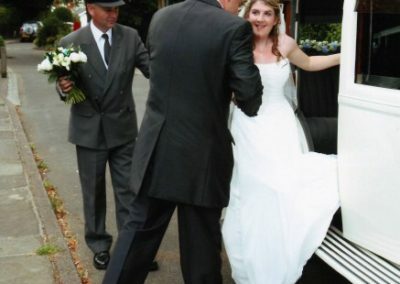 Additional trips to the church are catered for at no extra charge. 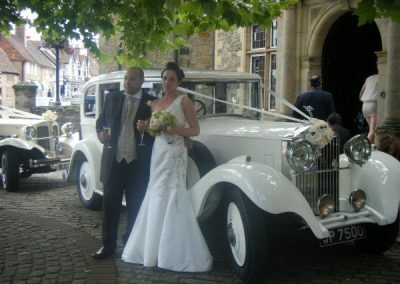 A free gift of a half bottle of Champagne and chocolates to be enjoyed by the Bride and Groom.